Rai is one of the best examples of the cyberpunk genre that’s out there currently. It’s got it all: The all-seeing, all-knowing “Father”; the rebellious factions kept at each others’ throats; the former enforcer turned rebellious corroborator, surrounding himself with fellow insurgents. 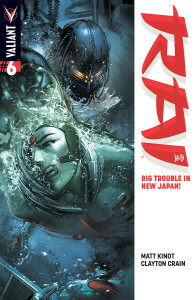 In this installment, Rai is still trying to find a way to get two warring factions, the Positrons (synthetic human/android hybrids filling the role of a slave class in New Japan) and the Raddies (anti-Father, anti-Positron, humans determined to eliminate the machine from their lives), to stop fighting each other long enough to tear Father’s empire down. 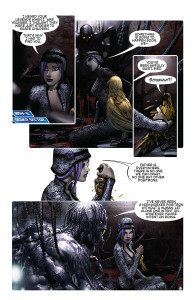 Meanwhile, the independent positron Momo is looking for an ally in the sewers… a near-mythical creature who is actually one of the first of Father’s attempts at creating a synthetic race of protectors for New Japan. This creature, Izak, is single minded in his goal of not only deposing Father, but also destroying everything that he’s built. Also, the master of intrigue and adventure, Spylocke, is looking for a route to earth, on a mission of his own creation. Spylocke is looking for help from Silk, the first in a line of clones whose influence reaches out through any endeavor even remotely illegal. It all sounds pretty convoluted. Okay, it really is pretty convoluted. Rai isn’t a story that you’d just sort of skim through while watching reruns of Two and a Half Men (cuz seriously, why would you be watching the new stuff?). But a little perseverance can pay off, big time. 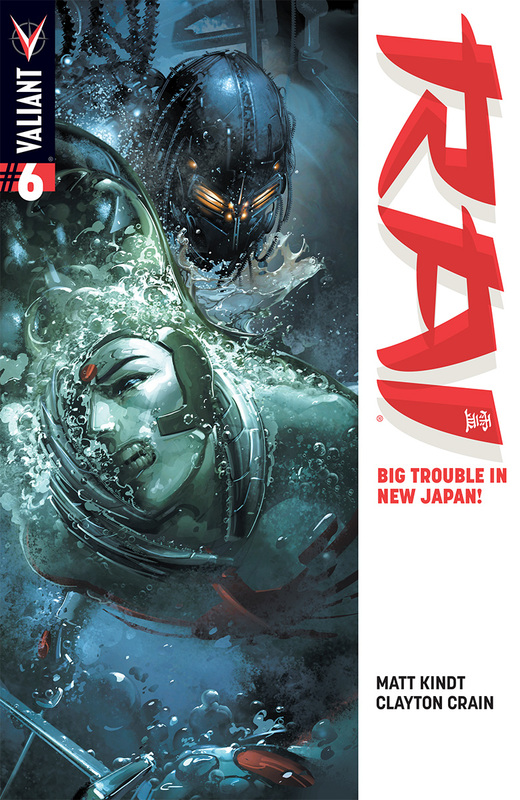 Rai is a great story, with layers of subtext and plots within plots. Top it all off with some of the best artwork in the business, you can be onto something pretty darn great.